Foursquare is an app that lets you record the places you�ve been to and share them with friends. Developed by Foursquare Labs, you will also get recommendations based on the places you and your friends have been to. The app is not just a basic travel companion. It�s a tool for finding promos and sales close by. For the budget traveler, this can be a real lifesaver. 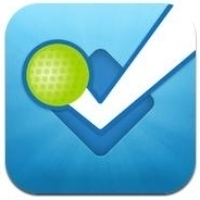 Foursquare�s interface is simple enough that new users will have no problems learning. Clear explanations are given as to why they point to a particular recommendation. While essentially a travel app, it is also a geo-location service / mobile / social device. It allows you to �check in� virtually to any place and post comments. But there�s no need to notify the site that you are virtually checked in. Comments posted by you and others can be read anytime. Here�s an example: you can check into a dining place and post comments. You can state what to order, how the staff behaved, what bathroom stalls are cleanest and so on. Users who check in frequently will get badges and points. For instance, checking in to a place more than once gets you promoted to �mayor� of that site. It entitles you to discounts, promos and perks. Explore, its recommendation engine, is simple to use. It comes with an adjustable slider so you know how far the recommended site is. Explore allows you to narrow the results based on your friends� feedback, Foursquare recommendations or user check ins. There is a To-Do list where you can save locations for future visits. You can set these up based on recommendations.